Home / Reviews / Samsung Galaxy Note 9 / The Samsung Galaxy Note 9 Vs The Galaxy Note 8 - Any Difference So Far? The Samsung Galaxy Note 9 Vs The Galaxy Note 8 - Any Difference So Far? 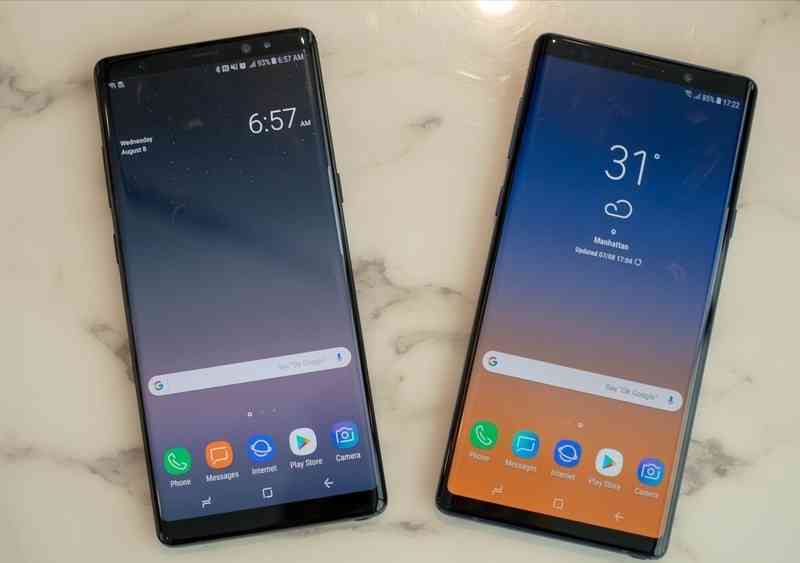 Now listen up everybody, placing the Samsung Galaxy Note 8 and the Note 9 side by side each other, with their fronts facing up, will really give everybody a hard time, including me, to really identify or tell which one is which one from the other, because why not, the new Samsung Galaxy Note 9 is simply a Galaxy Note 8 on steroids.. 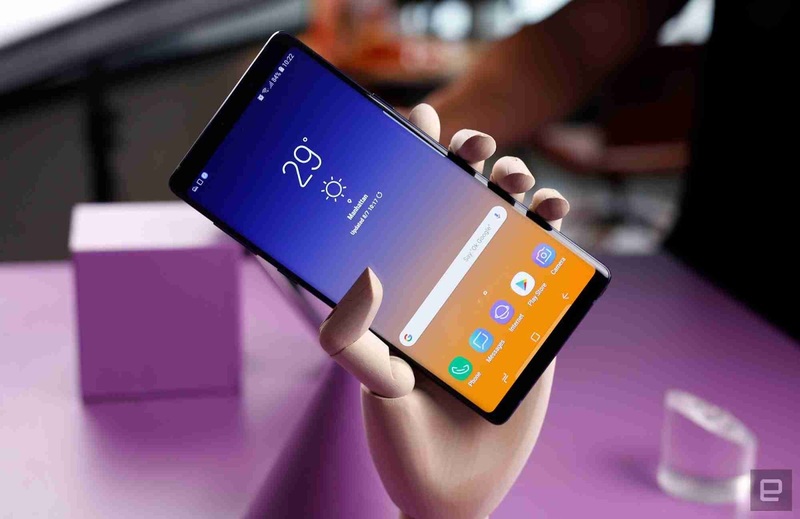 So welcome back to our website guys, and today, we're gonna be seeing those little and big changes that really makes the Samsung Galaxy Note 9 very different from last year's Note 8 and what really makes it stand out from all other Samsung smart phones out there.. So grab a packet of pop corn and a bottle of your best drink, and then what next? Let's get right into it. So first things first, and from what i said up there, you should know by now that the new Galaxy Note 9 is nothing short of the now one year's old Note 8. You might not notice it, but the Note 9 is actually shorter, and wider too, and even thicker and heavier than the Note 8, all thanks to its hefty 4000mAh Power Battery. So it has dimensions of 161.9 x 76.4 x 8.8mm against the Note 8's 162.5 x 74.8 x 8.6mm, and also comes in a weight of 201g, which is 6grams heavier than the Note 8's 195g. But all those things shouldn't be a problem since there was at least a very good reason for all those increase in width and thickness and weight, and secondly, since they aren't even noticeable except you're gonna be taking with you, a measuring tool wherever you're going. 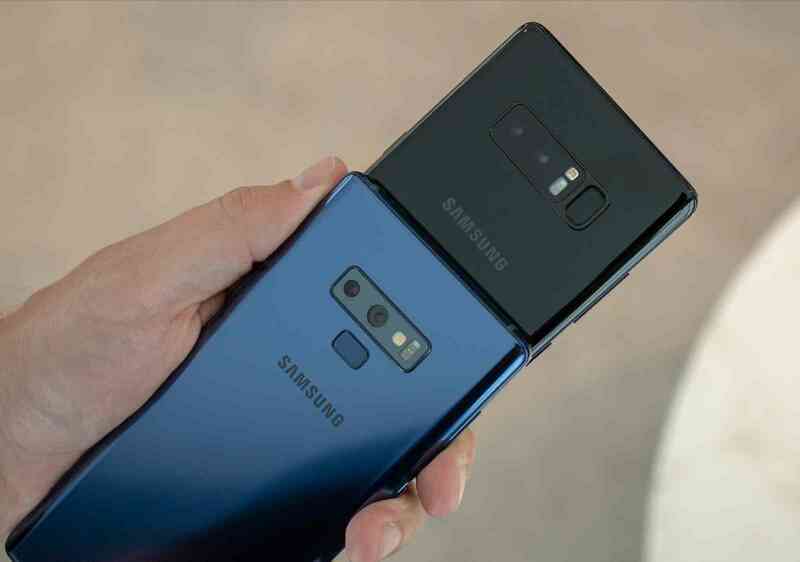 So like i said in our review article, the only place where you're gonna notice the most significant change in the design of the Note 9 from the Note 8, is at the back.. yeah you heard me right, i said the back. So with the Note 9, you now have the wrongly placed fingerprint reader on the Note 8, now moved to a more sensible and reachable area on the Note 9, directly below the dual camera modules instead of beside them, which got a lot of negative feedbacks from the Galaxy S8 and Note 8 users way back in 2017. So to conclude on this part, now the thing is, if you are currently using the Note 8 right now, and if you're really into phones design and asthestics, and if you really change your phones every year because of their change in designs, well i think i should let you know that this is not exactly the right time to change to a new phone. Maybe you're just gonna wait till another Samsung Galaxy Note gets released with a more revamped design that should be different from what we've been getting from Samsung for the last two years now. But if you think you can't wait that long, well there are still some many other features of the phone that might make you want to say to Samsung "Shut up and take my money".. So keep reading, don't stop, and let us unveil to you, more secrets of the Samsung Galaxy Note 9. So one thing that also got increased on the Note 9 is the display. So for the first time, we are getting the largest display ever on a Samsung Galaxy Note device, a 6.4 Inch QHD+ Super AMOLED Display, that is all round protected by a Corning Gorilla 5 Glass. 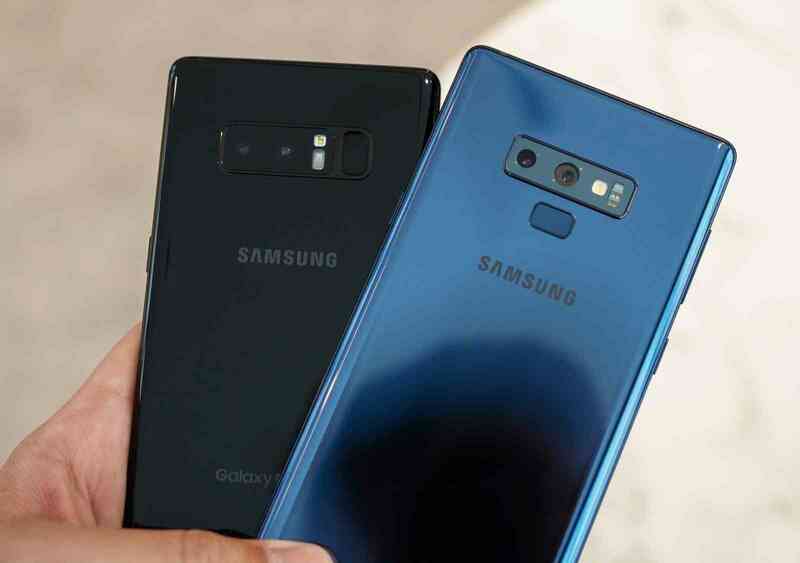 Now the screen here is practically and exactly the same thing we saw on the Note 8, except for its 0.1 Inch increase in size, but for one thing which we can't really explain, we couldn't help but just notice that the screen looks sharper, crispier, brighter and more accurate in color production and saturation than it was on the Note 8. I don't know if this is just me or everyone else, but that is exactly what and how i felt for the new Samsung Galaxy Note 9's display. But at the same time, if you own any of the Samsung phones ranging from the Galaxy S8 to the Galaxy Note 8, then this is not also the right time to upgrade to a new phone, because the displays on those phones just mentioned above are nothing short of superb too, in fact, they are the best displays that you can ever see and get on any smart phone right now.. So why change it when it not bad.. Well then let's go to the next one. 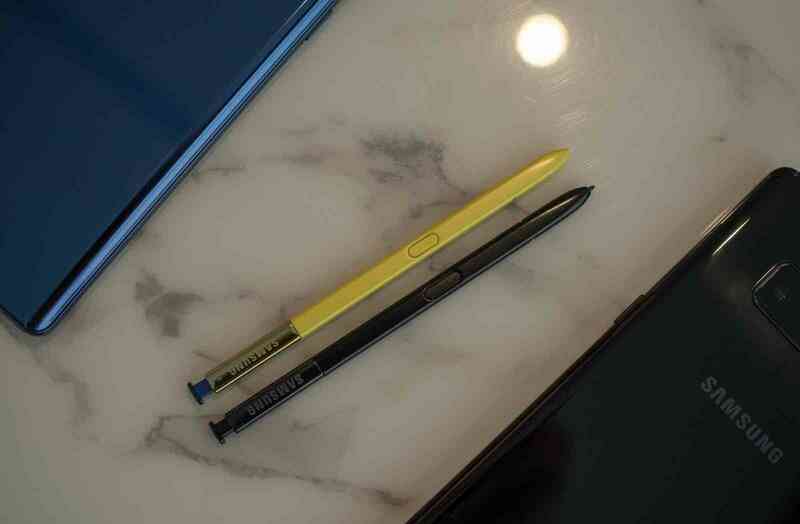 So right now, this is where things really got interesting.. One big change that happened to the Galaxy Note 9 over last year's Galaxy Note 8 is the iconic S-Pen. So it might appear as a very big change to many people out there, and at the same, it might not feel like anything was changed too to a lot of people.. So what exactly are we talking about here? Well as you already know and guess, for the first time ever, a Samsung Galaxy Note S-Pen can serve as a double edged sword.. First is that you can still be used for its normal and daily activities like scribbling notes on the go and sketching images and diagrams, and the second is that it also serves as a remote control for the phone. So we've already spoken a thousand times about its features in our review article, and we wouldn't like to repeat same things again in order not to make it look like you're re-reading the same article. So if you want to see all you needed to know about the Samsung Galaxy Note 9 and its S-Pen, Please Follow This Link. So in conclusion, the remote control thing is the only big and major change that we've seen so far on Samsung S-Pen(s) since the days of the first Galaxy Note device. But i wouldn't still recommend anyone who's already using a Galaxy Note 8 to go ahead and get the new Note device just for the S-Pen alone, but if you still think a bluetooth enabled S-Pen is all you need in a smart phone, and you have like a thousand bucks to shell out for a new Note smart phone, then why not go ahead and do it.. 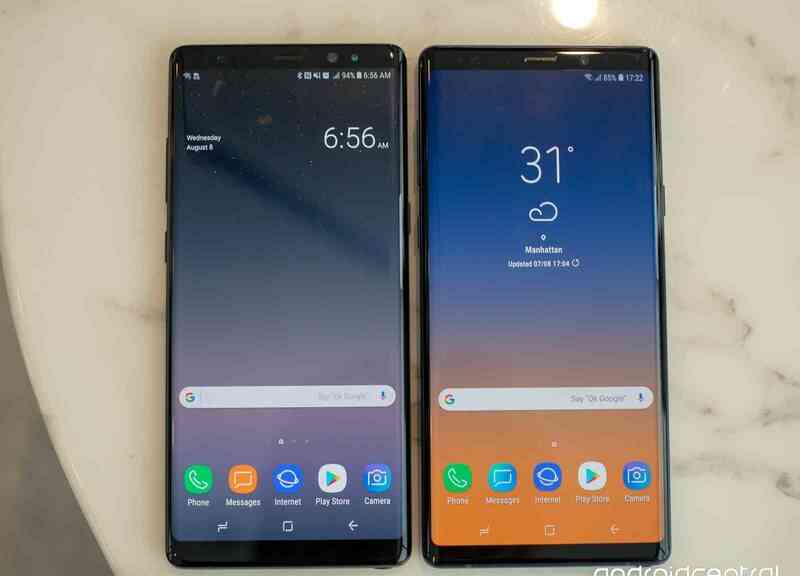 So in terms of storage, well it will excite everyone to know that the new Samsung Galaxy Note 9 beats the last year's Galaxy Note 8 with just a one step forward. Now what is it, so for the first time on a Samsung Galaxy Note device, we are getting a base storage of 512GB, now not only that, but it can still be further expanded to another 512GB using a Micro-SD card, which finally results to a maximum total of 1TB (Terabyte), whereas the last year's Note 8 comes with a base maximum storage of 256GB and too can be further stretched to another 512GB with same Micro-SD card. Now i know some people might say it is senseless to have that so much storage in just a smart phone, yes sometimes i feel like that too, but i also think it just feels good to know that you have that so much storage in your pockets. Okay enough of the storage bants, now lets talk about the RAM. So for the first time once again, we are getting the highest RAM size on a Samsung Galaxy Note device. Other Notes before it like the Note 7 and 8 both had their RAM(s) locked at a 4GB and 6GB respectively, but the Note 9 came and took it up a Notch by heading for a massive 8GB, though there is still a 6GB variant with a 128GB of storage, but why settle for less when i can go a Notch higher.. But even at that, i still don't think i would want to upgrade to the Note 9 if i already had the Note 8, because why not, 6GB(s) of RAM still gets the job done perfectly and even have some leftover endurance strength to spare for some more task ahead. And then lastly for this section, the Processor. So because the Note 9 was launched in 2018 and the Note 8 was in 2017, it simply means the Note 9 shipped with a better processor than the Note 8. So right here we are talking about 2018's Snapdragon 845 against 2017's champion, the Snapdragon 835. Now performance wise and placing these two phones side by side to test their apps opening and loading speed, i bet you can't tell the difference in time because their is simply little to no differences at all, which simply means that last year's Galaxy Note 8 is still a champion and i wouldn't still consider buying a Galaxy Note 9 right now if speed is just all i needed in a smart phone. So on paper, the Galaxy Note 9 and the Note 8 practically have the same camera spec sheet. 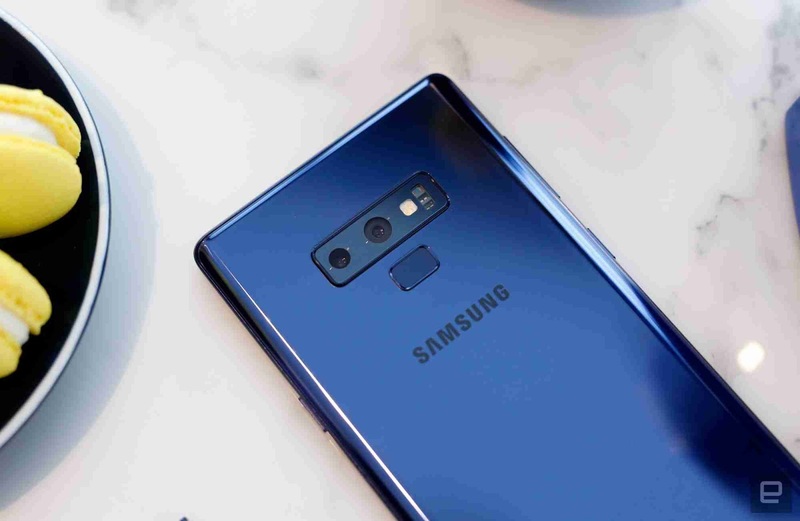 Samsung saw there was nothing wrong with the dual 12MP it had on the Note 8, so they retained it still on the Note 9 except for a few finishing touches here and there like the Dual Aperture something that we first saw on the Galaxy S9 and S9+ earlier this year, then it also has that camera AI something that we first saw on devices like the Huawei P20 and its Pro variant and even the LG G7 ThinQ, it automatically identifies your scene and enhances it using the best camera settings possible without you needing to touch anything. And lest i forget, it also has this error correction stuff that asks you to retake a picture if it found out it appeared blurry or someone blink in the picture, it can even go as far as telling to wipe the camera lens if there appears to be smudges on it. Right now i'm beginning to think the cameras on this thing alone might want to make a lot of people upgrade to the Note 9, but definitely not for me as you already know. So after the Note 7's battery fiasco, Samsung was a lil bit skeptical about using big sized batteries on their smart phones, no wonder the Note 8 came with a meager battery size of just 3300mAh, but with the Note 9, Samsung was ready to prove to the world that it has corrected all its mistakes on the Note 7 and there no more reason to panick, so they dumped a huge 4000mAh Power Battery on that thing. Now you all will agree with me that 40000mAh and 3300mAh is a huge gap you know, so imagine what you can do with all that power. And now finally for the price, so just like there is huge gap between the Note 8's and the Note 9's batteries, well there is also a very huge difference between their prices too. The Note 8 ships for a price of 700 EUR while the Note 9 ships for more 300 EUR higher than the Note 8, we are talking about 1000 EUR here baby. But that price was only for the 6GB RAM + 128GB ROM variant, while the larger variant with an 8GB of RAM and 512GB of storage ships at an eye watering price of 1250 EUR. So i bet this is the place that a lot of people will consider holding on to their Note 8(s) and to even some lesser Note devices. But even with all these comparisons and all, i still think everything finally boils down to personal preference. Different people buys phones for different reasons, some might be for the design, some are for the cameras, a lot of people buy phones for their RAM and storage, many others go for the battery and as well very many others too go for their prices. So if the Galaxy Note has what you're looking for in it and you have 1000 bucks to 1250 bucks to spill for it, then why not do it? But before you do that, please kindly make sure to let us know what you y'all think about the two devices discussed in the article, and as well share this article and subscribe to our newsletter for free if you've not done so already. Now Don't Miss Today's - Samsung Galaxy Note 9's Review - Everything You Needed To Know About The Most Samsung Galaxy Note Phone Yet.